Why you develop advertising / promotional campaigns? Isn't it to garner attention and recognition from your target audience? Along with content the medium plays major role in terms of reach and delivering the right message. 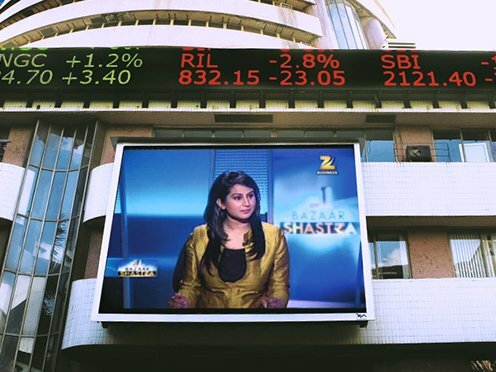 In today’s world when everything is going digital, LED video wall brings out the best in advertising. Here's how to get the best results. Advertising been known for using bright colors and visual techniques because that’s what attracts the viewers in short span of attention. LCD video walls are LED backlit displays which affects its abilities to provide high contrast, bright and clear picture. LED video wall is made up of true color technology hence it provides high contrast, brightness and high resolutions; as a result the output is vivid, bright and catchy. When you want to create out of the box display with long lasting impact LED video wall in innovative shapes or unusual sizes work the best. LED Videowalls are seamless i.e. bezel free as a result any shaped or sized LED wall will look like one seamless display. You can hook a large audience as your content becomes interesting and is seen clearly from long distances too. Make your content presentation memorable with HD images, flash animations, and live feed from sites like twitter or videos. Scale this mantra of perfect content on right LED display to any form or size for greater flexibility and use, such as, oval, pyramid, cylinder and cementric shaped LED display. For example, you can embed interactiveLED display solution into custom furniture or large architectural structures. Further, XM software designed for LED display is user friendly & can bring the variety of integration in terms of content to be displayed. Processors of video walls supply a consistent format of signal output. This eliminates the need of saving adjustments of unique inputs such as phase, position, or size for varied signal types related to each display. Management of input multiple formats across common format of output simplifies integration. After all, you need to configure the display for single refresh rate and resolution. Display driving at native resolution maintains best quality of images avoiding unnecessary or inefficient scaling within a display. Since, LED display solution can present large amounts of information and makes it readily available to the target audience; it is rapidly gaining popularity in educational institutions, hospitals, exhibitions, banks and commercial buildings.